Four years ago Stardock acquired Atari's rights to Star Control. I soon got to meet my hero, Paul Reiche. He was, more than anyone else, the person who inspired me to become a game developer over 20 years ago. Over the past 4 years, we have communicated regarding the progress of Star Control: Origins. He asked us not to try to make a sequel to Star Control 2 and said that he hoped one day to be able to return to the universe he and Fred Ford created. Recently, Paul told me the good news: Activision was going to let him do a true sequel to their Ur-Quan story. It's still very early but they will have all the characters from Star Control 2 plus new ones. It's going to be called Ghosts of the Precursors. For 4 years, people asked me why we weren't going to touch the Star Control 2 story. Now you know. As soon as they have an official site for it, we'll let you know. I wonder what, if any, this means for Origins? Just read about this elsewhere online, and after I picked myself up off the floor and slapped myself about seventeen times to make sure I wasn't dreaming or hallucinating, I came here. Best news in nearly three decades of being a computer gamer. Still sitting here rubbing my eyes to make sure I'm not seeing things. I don't even. Thank you so so so much, Brad. It doesn't affect Origins either way. What it does do, however, is help people better understand why we had agreed not to use the aliens. While Stardock does have a license to the setting, characters, etc. Paul had asked us not to use them to leave the door open for them to one day return. That was 4 years ago. Now, those efforts have paid off. Will Paul and Fred have any input on your story in order to keep things square with their story? Is there any concern that there will be reduced interest in Origins with a 'true sequel'? Will there be any cross promotion between the two games? It seems like you guys have had a good working relationship with Paul and Fred up to now. Will that continue? Either way, looking forward to it all. I hope both games are made without any drama between the developers and, MOST IMPORTANTLY, BETWEEN THE FANS. I can see Star Control as a game-style franchise (like Call of Duty) and beyond just a story franchise. I hope my fellow fans can too. If I wasn't at work I would be screaming til I was out of breath at this news. 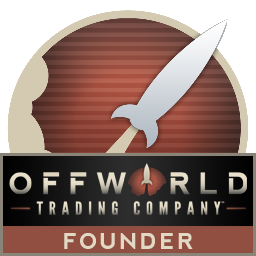 Brad - While I'm not a diehard "Star Control" fan (never played the originals), I signed up as a founder for Origins because I like the way you make games - with passion. I think the respect you've shown Paul in this dog eat dog world is truly commendable. On behalf of all gamers - thank you! This is awesome news. I was a little twitchy about having backed when I discovered the Toys for Bob guys were also wanting to do something in the future, but this eases my mind - and explains why Stardock have taken the approach they did. I just wanted to point out the potential naming conflict with Ray Fowler's Remnants of the Precursors which is a MOO1 remake that is already pretty well along. This is such wonderful news! All the asking nicely, begging, pleading, petitions, threats, etc are finally paying off in a big way! First Star Control:Origin is on it's way, and now this announcement! It's time to *play* you *happy campers*! This explains everything. Amazing news!!! Good lord, what rock have I been hiding under for the last couple days? This is amazing news! Thanks Brad and Stardock for letting this come true! Good. I can feel your Juffo-Wup. I am Juffo-Wup. Take your Juffo-Wup! Strike me down with all your Juffo-Wup, and your journey towards the Juffo-Wup will be complete! Sorry, I had to smack myself over and over again to make sure I wasn't dreaming! I cannot freaking believe it!!! I've waiting over 20 years for this! I made 7DS because this was not a reality....and NOW IT IS!!!! In the long-run the Star Control multiverse will include gateways to many different universes including licensed Sci-Fi universes. This is excellent. This is the idea I had for the story of my 7DS (7 Deadly Sins) universe. A universe in which all sci-fi genres could exists. This is how I explained having Star Control races such as the Kzer-Za and Kohr-Ah Urquan meet and fight races from the Sins universe, along with Empire from Star Wars, the Antarans from Master of Orion and my Atlantians from my own design, coupled with using ships from Star Gate and other genres. I made it my own "cannon". Its a universe where everything and anything could exist. That being said, using the multiverse model for the new Star Control means that I can do the very same thing in the new game, and have "official" Star Control races battle against Star Destroyers once again. One question...will we be able to import models, or do they need to be made inside the game engine like Galactic Civ? If we have the ability to import, especially "mesh" or other formats that are easily available, it would greatly support to the modding community and the game overall. Thanks for the awesome updates. Well, this all makes a lot more sense now. Thanks for keeping us in the loop. Also, when did the universe decide that all of my favorite games could be remade now? I *never* thought that I would see another X-Com, Star Control, Master of Orion, or Shadowrun game, but here they all are. Question that I haven't seen addressed/answered yet. Good news - although my SC memories are all from console (Sega Genesis). Neither, Activision is only allowing Paul and Fred to work on it in their free time and without the aid of a publisher. Ah, interesting. Thanks for the fast reply Rhonin. Will GoP use Star Control Origins universe and/or will be the first @licensed@ universe? What is this ? ? ? ? i'm usually first at hearing the news here when it breaks now i'm the LAST....! This is truly Astounding news i am beyond stoked ! ! ! ! ! I don't beleive this ! ! ! Paul and Fred coming back to continue this masterpiece is The Best news i've heard in over 20 years ! ! ! ! ! I have to say THANK YOU SO MUCH SO VERY VERY VERY VERY MUCH, but then again it's always just been natural for them to come back and continue what is truly fundamentally part of who they are, and i can say it with full pride and respect, this was the best game in Human history, for the Masters to come back and continue their Long awaited journey back home,back where they have always belonged back to STAR CONTROL....IS The BEST News in gaming I've ever heard. The Legacy LIVES ON !!! Now i even want to more play Star Control ORIGINS as a build up to Paul And Fred's Sequal. It's a win win, now more people even would want to play SC ORIGINS as well ! ! ! And then they get a comeback from the Masters Paul and Fred as well with their Sequal.... It's raining sunshine and rainbow worlds again ! ! ! Yes it TRULY IS, i have been waiting so direly long for this day to arrive ! ! ! ! Congratulations to the team from Stardock and Paul And Fred from Activision for deciding to Continue this Masterpiece, it's a Win for Every single one of you and us ! ! ! ! ! Hmm, I'd hope to see them release a standalone on the back of Stardock's engine, to be published by Stardock. But I'm sure for reasons of personal or business, this has already been discussed and shot down (most likely a non-compete from Activision).